Abstract: The nineteenth component of the international Emil Cioran colloquium was held in 2014 in Sibiu (Romania) and focused on lamentations. Cioran occupies a privileged place amongst writers of lamentations. It is a constant which marks his entire œuvre, Romanian as much as French. Le code primaire de la pensée de Cioran ? 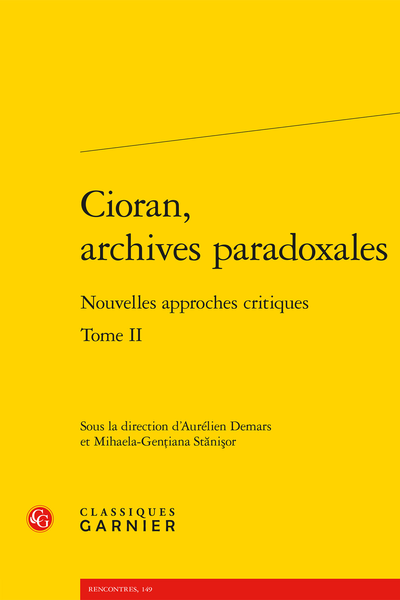 Quelle valeur heuristique faut-il donner aux Cahiers de Cioran ?